With gilt. 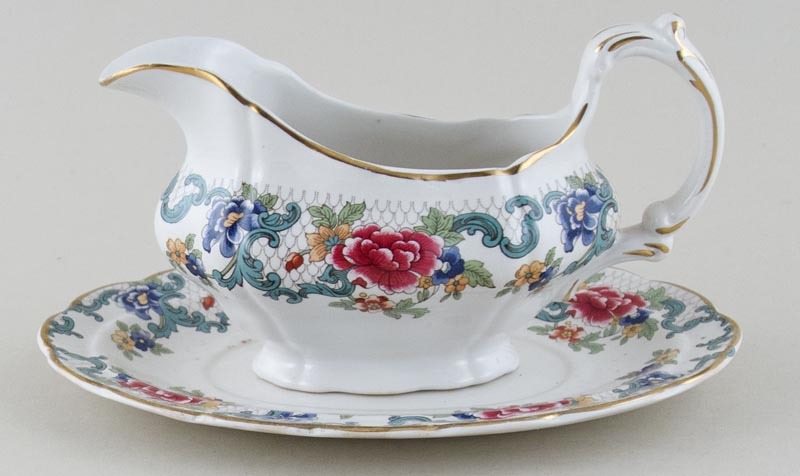 Lovely sauce boat with gently moulded body and attractive scroll handle on oval stand. Backstamp: Booths Made in England A8042 Floradora. Stand has a little wear to the gilt and some minor surface scratching and blemishes otherwise excellent condition. The boat is in excellent condition.